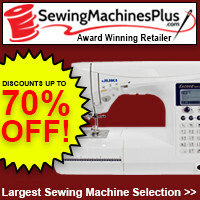 I’ve been super busy the last six months sewing for craft shows and social media customers. I decided to take a break this weekend and make something for myself. 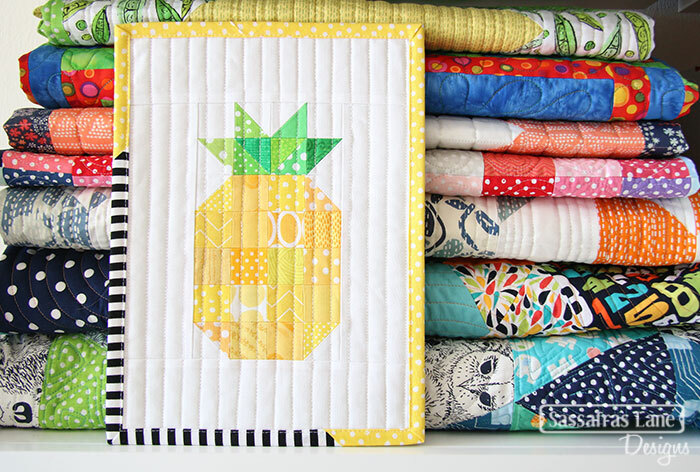 I have been eyeballing a little pineapple mini quilt from Sassafras Lane for some time and decided to give it a shot. I love it! 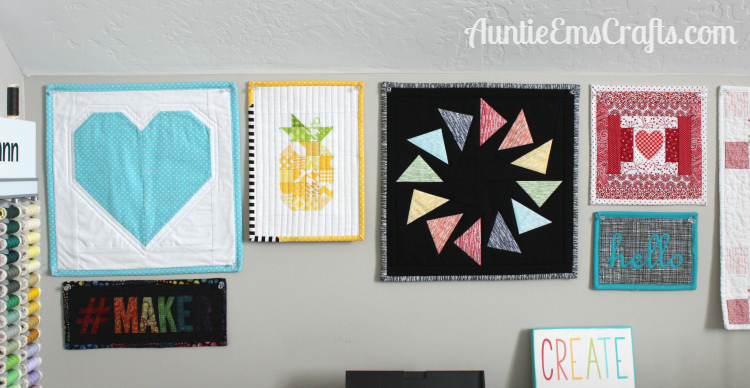 It is a great addition to my wall of minis (which admittedly needs a lot more love… but hey, one quilt at a time!). This took several hours to make, but I cut several sets at once. I put some kits together for an upcoming craft show and decided to do a giveaway for one of the sets here! The kit contains everything needed to make your own pineapple mini. To enter, follow the directions on my Auntie Em’s Crafts Facebook page. The giveaway closes on May 8th so that I can mail the kit before Mother’s Day. Good luck! 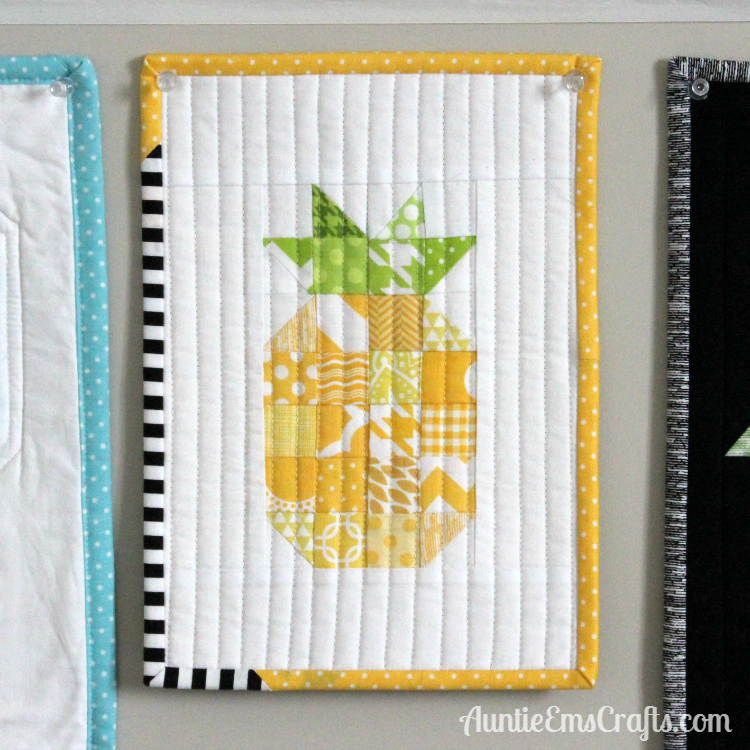 Love mini quilts? 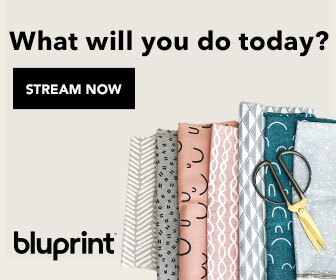 Follow my Mini Quilts board on Pinterest.